I DON'T WEAR SKIRTS TOO OFTEN (REASON WHY I'M SPORTING THIS SKIRT 7 MONTHS AFTER PURCHASE) , BUT ON VERY RARE OCCASIONS I DO. THIS TIME IT WAS FOR THE EASY "PUT ON/TAKE OFF" PURPOSE FOR THE BEACH. ALSO, I WANTED TO EXPOSURE MY LEGS TO THE GRECIAN SUN FOR A NICE BRONZY TAN. 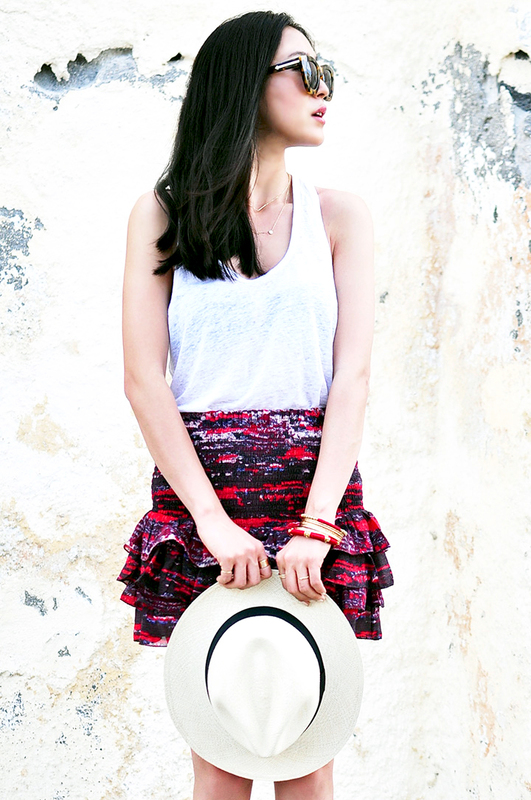 MY FIRST DAY IN SANTORINI I ROAMED AROUND IN A BOHO CHIC FASHION. 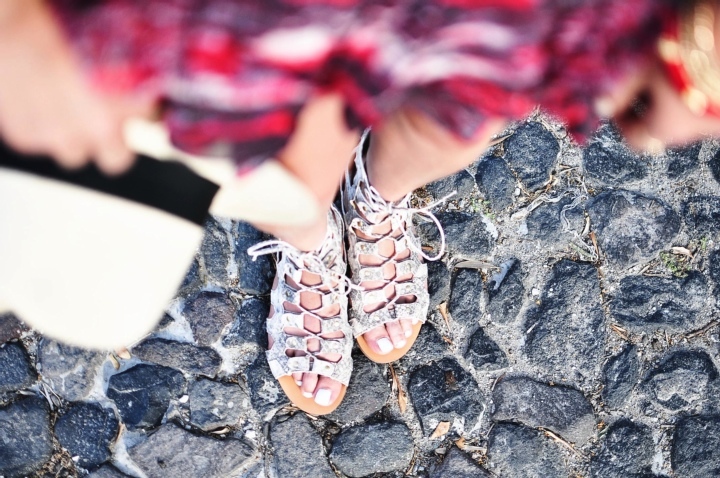 TO BALANCE OUT THE BOHO LOOK, I WORE A PAIR OF GLADIATOR SANDALS TO ADD A TOUCH OF GRECIAN. 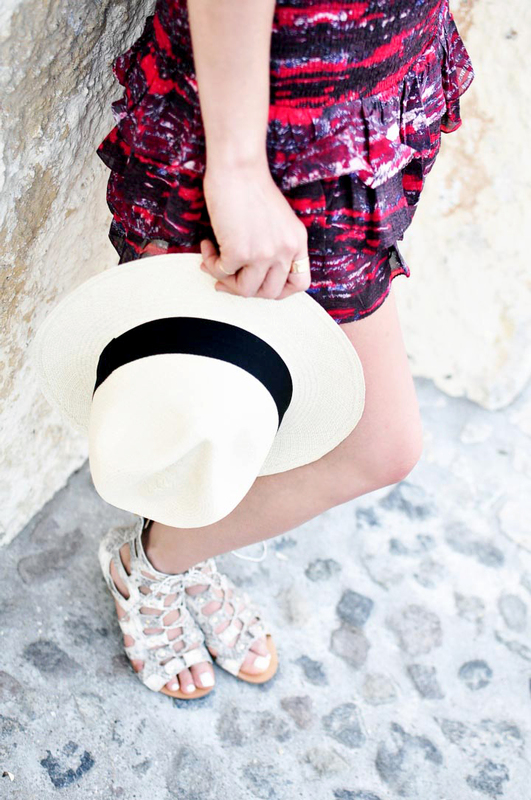 STAY TUNED FOR MY GREECE PHOTO DIARY & MORE OUTFIT PHOTOS! hello! i can't wait until you post your Santorini recap -- I'm actually staying at Vedema next month! Would love to hear you positives, negatives, and any recs/tips! :) Thank you! Love this look so much! And I'm so envious of your trip to Santorini. Can't wait to visit one day!